In 1999, the largest historic district west of Asheville was designed on the National Register of Historic Places. 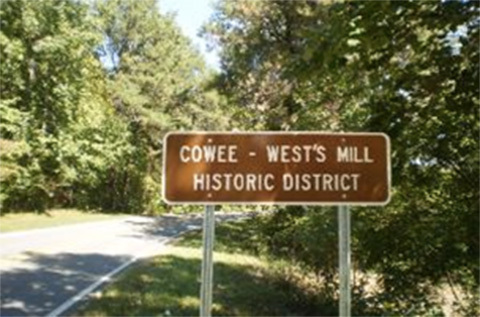 Cowee West’s Mill is comprised of 220 acres and 19 major historic buildings, including Rickman’s General Store, the predominately African American Pleasant Hill Methodist Church, and Cowee School. Mainspring (then known as Nikwasi Land Trust) led the efforts to recognize this cohesive historic community.